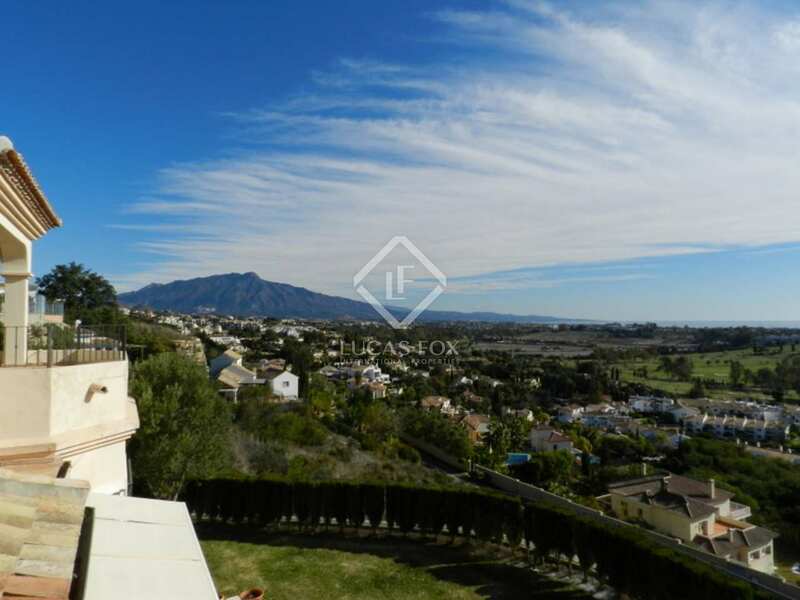 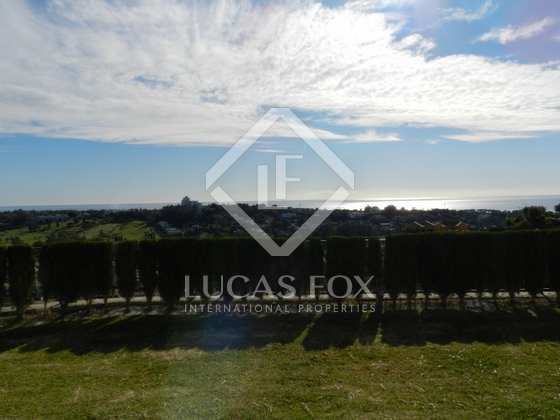 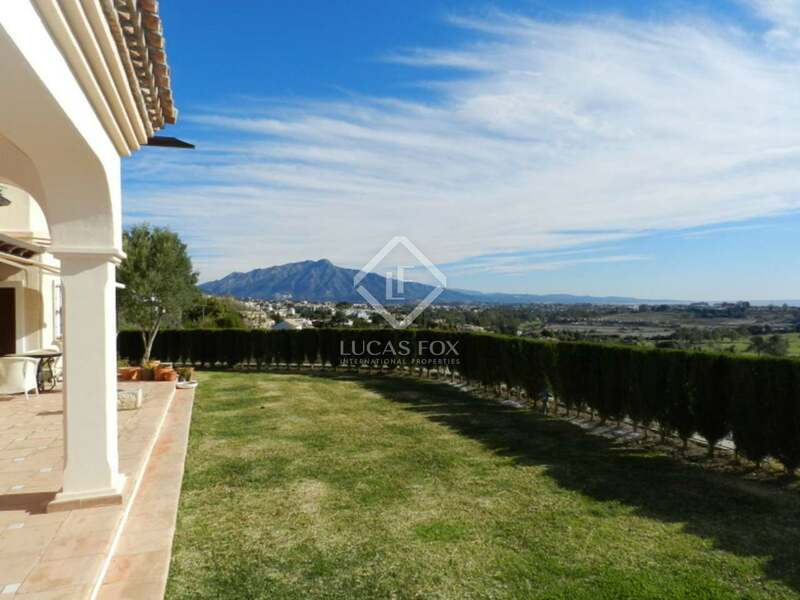 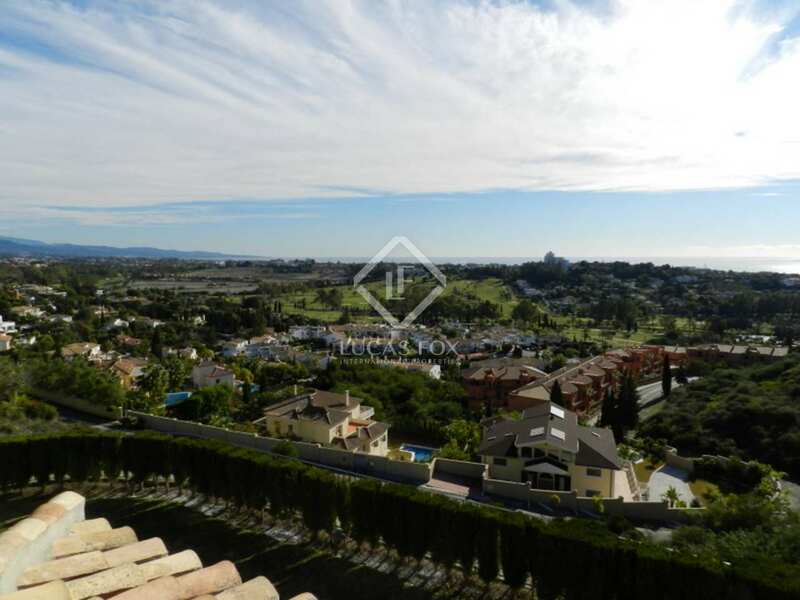 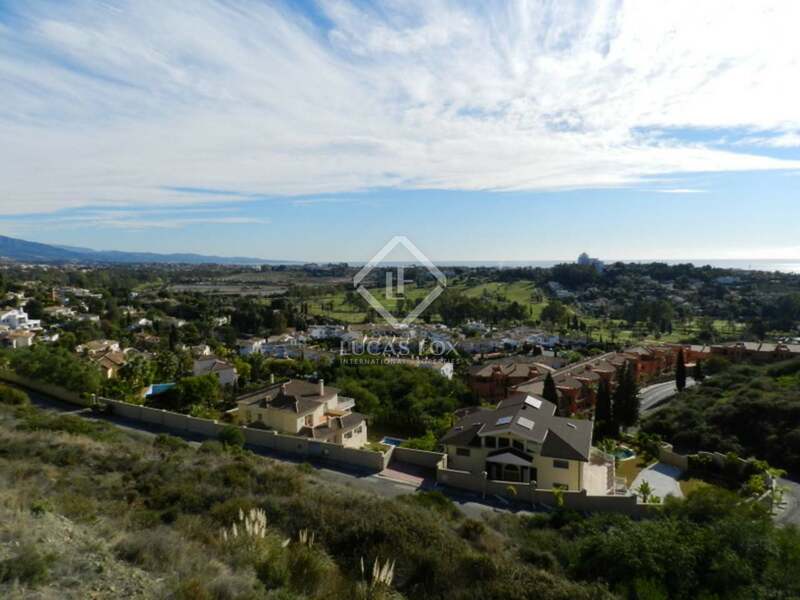 This 5-bedroom villa for sale in Estepona measures 500m² and is set on a plot of 2,000m². 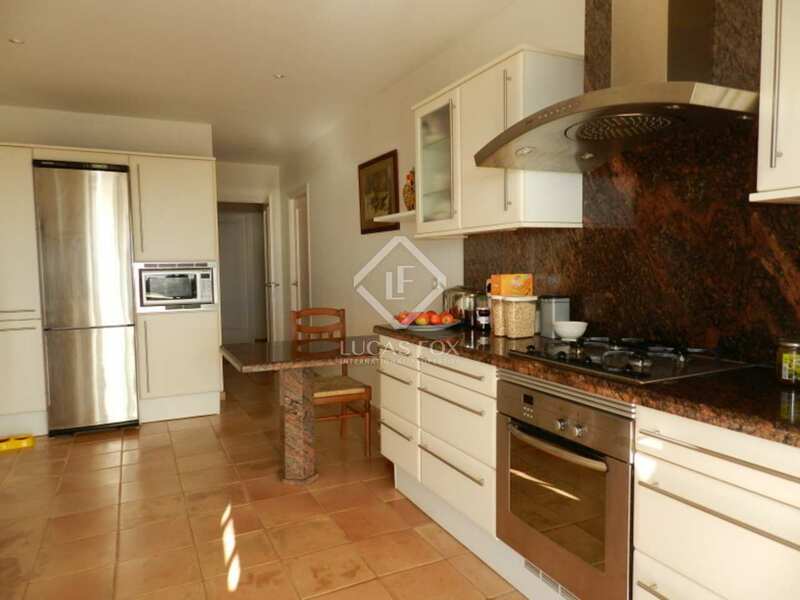 The ground floor offers a spacious open-plan living/dining area with a fireplace, a fully fitted kicthen, utility room, pantry, study and 4 bedrooms, three of which are ensuite. 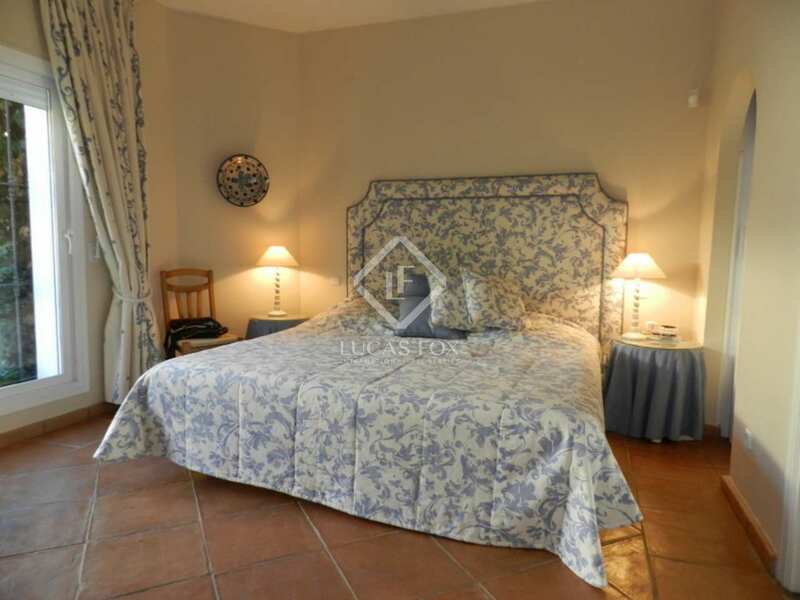 One of the bedrooms also has a kitchenette and would be ideal for staff. 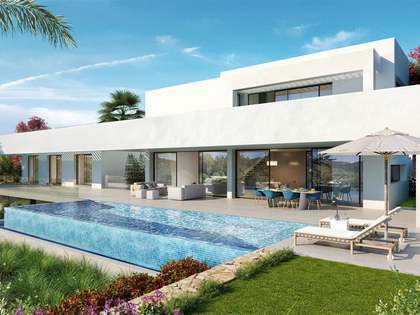 The first floor has a seating area and a large master bedroom complete with His and Hers walk-in wardrobes, an ensuite bathroom with a jacuzzi bath, and a private terrace offering stunning coastal views from the La Concha mountain to Gibraltar and North Africa. 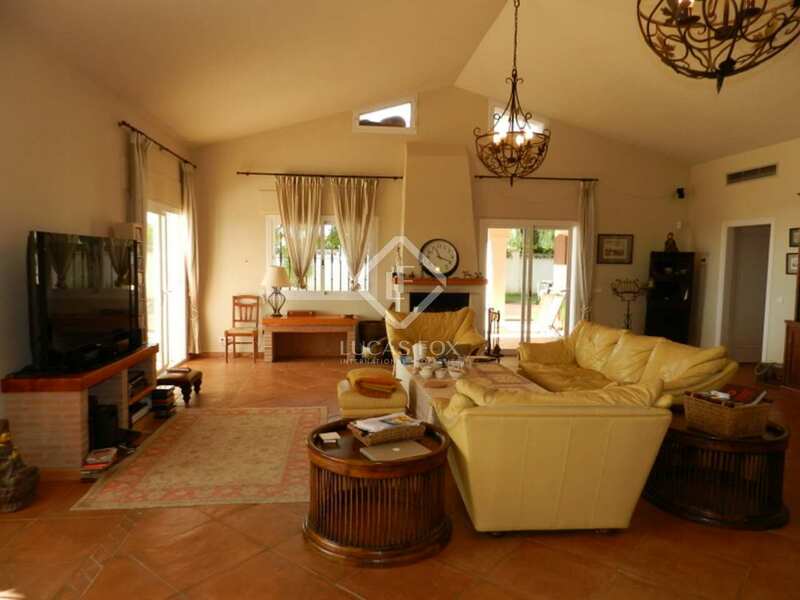 The property boasts several shaded terraces, overlooking the garden and wooden decked swimming pool and barbecue area. 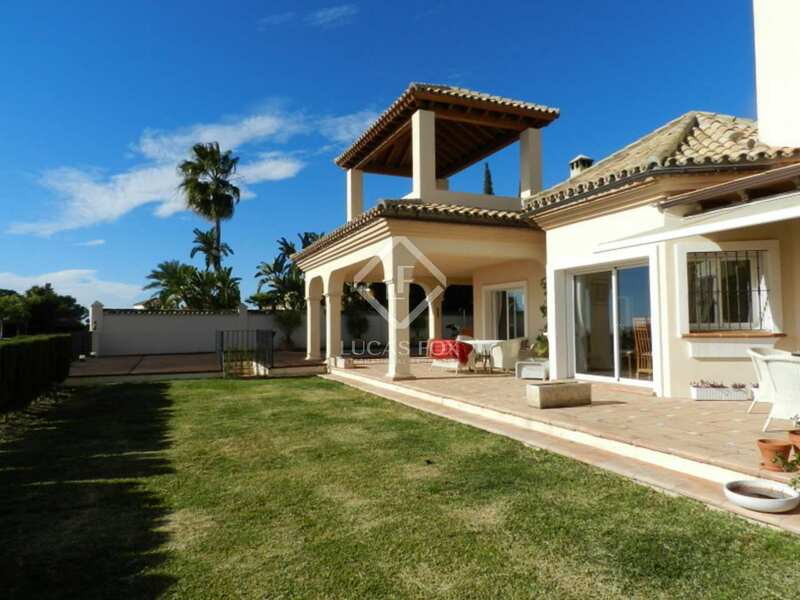 It also features air conditioning, underfloor heating throughout, an alarm, a double garage and a wide driveway.